This piece originally appeared on For Every Mom in December 2018. STen years can feel like a lifetime, or just yesterday, depending on my mood of the moment. A decade ago, I started this adventure, which would totally change my body, mind, and spirit. The latter two for the better, but the former, well, not so much. It’s been quite a journey since I first held that test in my hands, which read the response I could only hope for in my wildest imagination. I was going to be someone’s mother. This would mean big changes, both in my physical appearance, and in my heart. I would be sharing my body and spirit with this blessing growing inside me, whose soul I would have the profound ability to shape and mold as they grew. What I didn’t realize at the time, those ten years ago, and what I’m still learning with each and every passing day, was how much those souls would shape me, very obviously from my outward appearance, though they made their strongest mark on my heart. Over the past ten years I have gained and lost hundreds of pounds. Yes, that’s plural. I’ve added and shed dozens of inches, many of which currently seem to be here to stay. And I have lost, and not gained back, oh, so many hours of sleep. I have breastfed someone for over fifty months of my life. I have removed and reintroduced countless items from my diet, all in the hopes of giving my children the strongest possible start in life. The area where I struggle the most, now that I’m on the other side of the pregnancy tests, is trying to figure out how to form myself back into a person that resembles who I used to be before I was their mother. 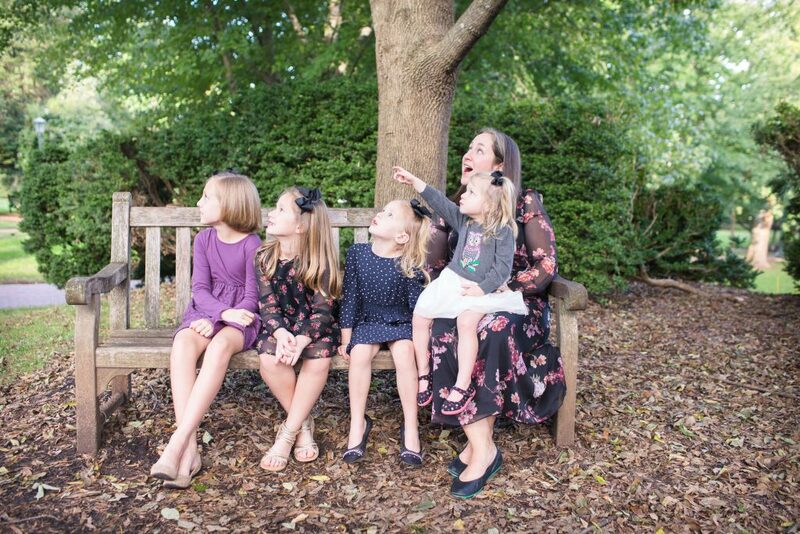 There doesn’t seem to be a mold, since I’m not expected to pretend like I never had these children, but also am simultaneously expected to look like I did a quarter of a lifetime ago. This is the most obvious from the physical point of view, since everyone around me can see my size, and thus, my struggles. I read that “fat shaming” is the only remaining acceptable form of prejudice left in our society. In other words, when you see someone who struggles with their weight, it is still deemed appropriate, or sometimes, even advised, to make assumptions about their lifestyle, motivation, or levels of self-control, and to interject those notions whenever you feel it is necessary. I know, because I have been on the receiving end of a few presumably well-meaning comments from total strangers, and from those I love the most. Those comments hit like an anvil. When the anvil comes, I try to transport myself back to a February afternoon, when I was pregnant with my fourth daughter. It was one of those afternoons in our region of the world that is rare: it is still winter, but only as a technicality, because you could sit outside and enjoy lunch without a jacket as the sun glistens overhead. On this particular day, I was eating with a treasured friend, the kind whose wisdom far exceeds her years. We were talking about swim lessons for our kids, of all things. And she said something so profound, and so applicable to all aspects of my life, that I filed it away for all future moments when I started to doubt the person I was created to be. Don’t look to the person sitting next to you to tell you how to live your own life. Try to avoid the trap of comparison, since you will only be able to view yourself as a failure. And realize, though this may be the most challenging of all that you were made to swim in your own lane. This phrase has marked my journey to regain the physical person that I was before I had children. And never has it been more important to hold tight to this mantra than when I realized I was my own worst enemy. It started out innocently enough. Friends and co-workers would give me unsolicited compliments, not about the way I looked, but about the person that I presented to the world. They would tell me that the woman they saw was peaceful, happy, and kind. These on-lookers could tell that I loved my family and was motivated to give of myself to those who needed me. They saw talent, benevolence, and sincere contributions to our world. I saw all these things too, when I really thought about it. But in my head, my alter ego would remind me that, while it might all be true, I still looked the way I did. I was still misshapen, all together too large, and completely uncomfortable in my own skin. This Achilles heel followed me everywhere I went, and no matter how high the praise, I discounted it all due to my weight. They say the first step to recovery is admitting that you have a problem. Well, it wasn’t simple sugars, or low fiber, or even French fries and ice cream that were my problem. It wasn’t low physical activity or chemical addiction or debilitating psychological illness. In my case, my mind was my own worst enemy. I knew that, in order to move toward a woman that my daughters would be proud to call their mother, I needed to silence the deafening voice in my head, that was hell bent on convincing me that I wasn’t going to be successful, no matter what I did. 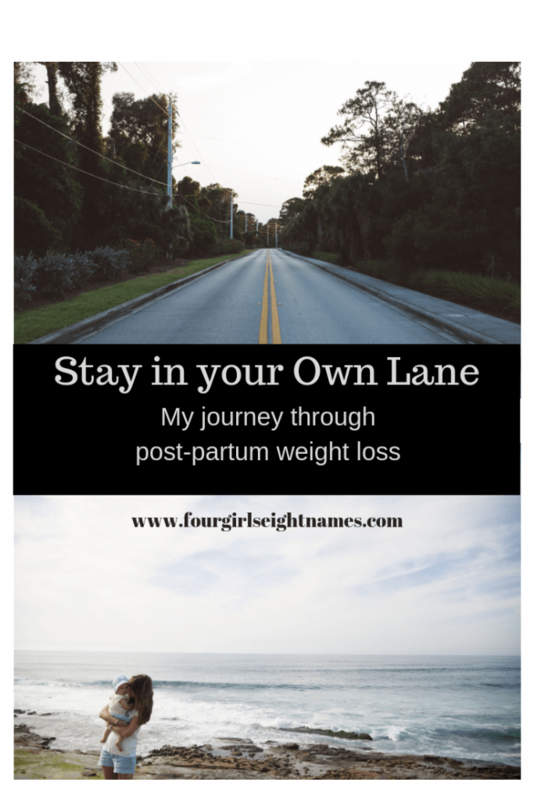 My next step was to acknowledge what my body had already accomplished, and how my own experience was uniquely mine. 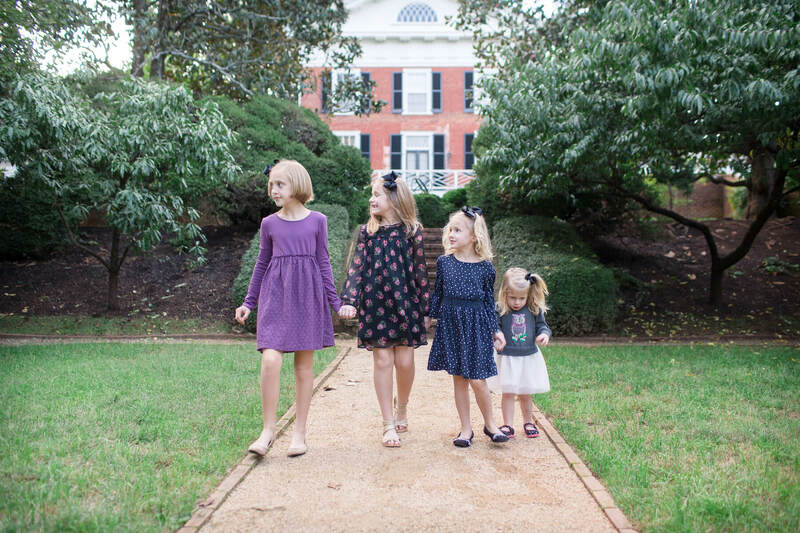 I needed to admit to myself that my body had, in fact, nurtured, sustained, and delivered four beautiful girls into this world. This same body had the ability to feed and care for these precious infants, and later, to chase rambunctious toddlers and teach preschoolers to ride a bike. And it will be me, as I only grow stronger with time, who will still hike the trails around our house and swim laps alongside them, as I encourage my girls forward on their own journeys. After acknowledgement came the next step, which for me, was acceptance. I had to accept that, even though it might be difficult to swallow most days, weight loss does not come easily for me. It might be a breeze for another mother who delivered four children, but that mother isn’t me. Some days it’s really difficult to imagine, but I truly believe that every woman has her own struggle, and it might not be apparent to the person looking on. It might be exceedingly difficult to imagine what challenge some people could be facing (particularly if you’re watching their very toned posterior run on the treadmill in front of you), but I promise, the struggle is there. And finally, the last step, and what I hope to achieve at some point in this lifetime, is admiration. It is one thing to respect your body for what it has achieved, but quite another to actually admire something that you have accomplished. That though there may be scars, or cellulite, or crow’s feet, my body is still exceptional. I dream I’ll feel this way at some point down the road, around the same time I have all my children in school for multiple consecutive hours. In this dream, I’m also a size 6 again and can dance like Beyonce, which brings me straight back to the reality that this notion will likely remain a dream. There have been invaluable resources along the way that have helped me in my journey. Nutritional coaches, physical therapists, and an exceptionally encouraging nurse practitioner have guided my path, and I know they will continue to support me as I reach my goals. There are books and meal plans and exercise regimens that are instrumental in helping me on my path to health. But before any of these could be effective, I had to overcome my own greatest enemy, which turned out to be the sabotaging voice in my head. And in all the moments I’m tempted to look to the side, just to see if I’m even keeping up with the imagined competition, I remember the wise words of my good friend. So I just keep swimming, and stay in my own lane.